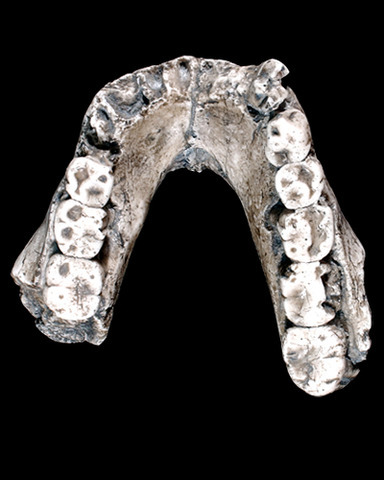 LH 4 is an adult mandible will all molar present. Most anterior teeth are missing as a result of postmortem damage. The rami are completely missing, but the dental arcade appears in good condition with little or no evidence of distortion. Evidence of resorption indicates that the right lateral incisor was lost sometime premortem1.